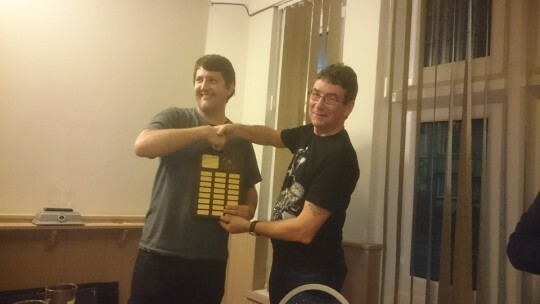 Adam Phelan – 25,000 chips – scored a record 125 points to take his 2nd League Title but will be looking to put in a better performance than when he last won it. On that occasion he slumped to a 6th place finish. Jake Poxon – 21,600 – a terrific first Premier League campaign for Jake, scoring 12 top 3 finishes from his 18 games. Would be a popular winner if he can go on to do so. Laura Rhoden – 18,200 – Laura is the current BCPC Champion but will be appearing in her first Premier League campaign after winning 5 times this season having never previously won a game. Nobody has ever held the Live and Online Titles at the same time. Steve Adelaide Bull Healey – 17,800 – Currently ranked No.1 BCPC player, Steve also gained his first Premier League wins this season (3) and he finished 4th in his previous live final appearance. Adam Smith – 16,000 – This is Adam’s 3rd Premier League campaign and he has finished in the top 6 every time. Will be looking to go one better than last season when he finished Runner-Up. William Young – 15,600 – This is Will’s first Premier League campaign since season 3 and he has not really performed well in the live finals, going out first (6th) in both season 1 and 2. Brian Yates – 15,600 – A record 6th live final appearance for Brian, with a victory in Season 1. Since then though, he has failed to make the top 3. Steven Bayliff – 14,400 – Also playing in a record 6th final, Steve is back to try to become the first player to succesfully defend the Title. He won his seat after finishing 9th and winning a play-off game, just as he did before winning Premier League VII. His record in his previous 5 finals is awesome with victory in Seasons 2,4 & 7 with a runner-up spot in season 5. There are 144,200 chips in play with the average at 18,025 and blinds will open at 50-100 on a 25 minute clock throughout. End of Level 4 and nobody out yet although Adam Smith is down to 2 bigs after calling Jake Poxon’s all in on the last hand with tens on a Ad-3d-8c-3h-Ac board…Jake had A-8. 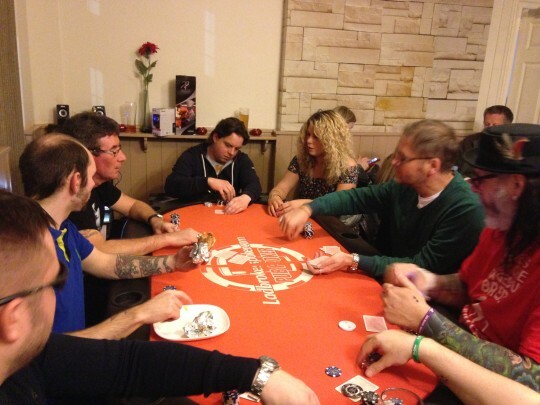 Adam Phelan started as chip leader n is still there on 34k, followed by Jake Poxon 32k, Steve Healey 21k, Brian Yates 21k, Steven Bayliff 12k, Laura Rhoden 11k, William Young 9k then Adam Smith. Blinds 300/600/25 when we return. Brian Yates Adam now gone in 8th…Adam Phelan has a good lead. Tod Wood The rich get richer. Brian Yates Brian out next, shoving 8-6 into Will Young’s QQ. 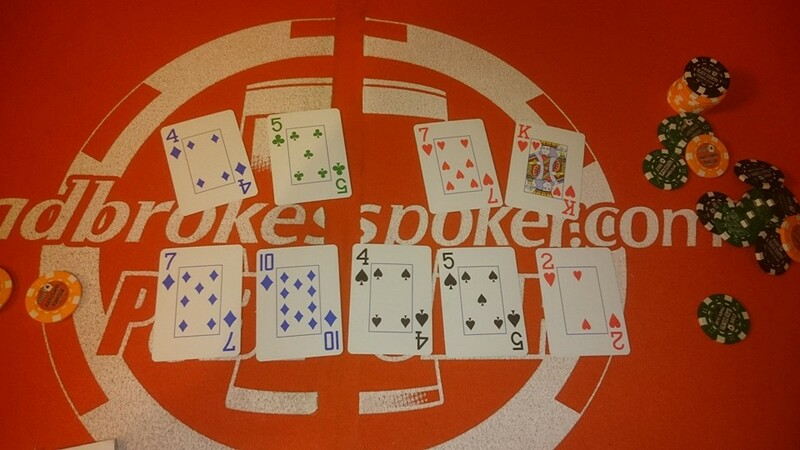 Brian Yates …..followed swiftly by Steve Healey with fave hand Q-9 no match for Scouse’s Aces. Andy Overton More updates please. Railing from afar! Andy Overton Anyone got a link to the live feed? 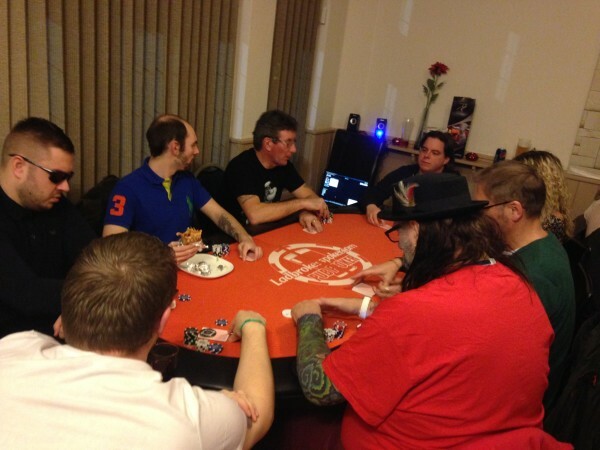 Brian Yates Massive pot…Adam shoves all-in (A-2), Will re-shoves (9-9), Laura calls (AdQd). Board is 5s-8d-6x-Kd-3s….Adam out 5th and Laura goes next hand in 4th. Brian Yates On an A-K-7 flop it all goes in with Jake at risk with K-8. Will’s A-2 sends Jake out in 3rd for $80. Andy Overton Will Scouse do it again?!?! Brian Yates Will is favourite to stop Stop Scouse winning a 4th Title. Will started the game 6 of 8 while Scouse was shortstack and turned up late! Brian Yates Also, had Scouse turned up 10 minutes earlier at the start, he would almost certainly have gone out when on an A-4-5 flop with two hearts, he (would) have had 5-5 when Jake had AA. Andy Overton Come on Laura. If anyone can wheedle a new episode out of him you can. Is he drunk? Andy Overton Not the same. I love drunk Tod. Andy Overton and drunk Tony. Andy Overton You….. not so much. Brian Yates Scouse gets Will all-in on the Q turn after a 5-6-10 flop. Scouse 5-6, Will 10-8…..8 river…..Will doubled. Andy Overton What are the stacks? Andy Overton And who’s winning Stomaha? And it all goes in on the turn….and Scouse is the 4-time Champion and the first player to regain the Title. Magnificent performance! Thanks to all last night , good seeing everyone. Especially Brian Yates for organising it again . And those who turned up who wasn’t playing as well as them that was making it a good night !